This beautiful Bechstein model 10 upright piano is available now at The Piano Gallery. In it’s rosewood case, it is not only a lovely piano to play, but makes for a stunning piece of furniture. The piano has been reconditioned and has had new key tops. To try this piano alongside over 100 other new and used pianos. 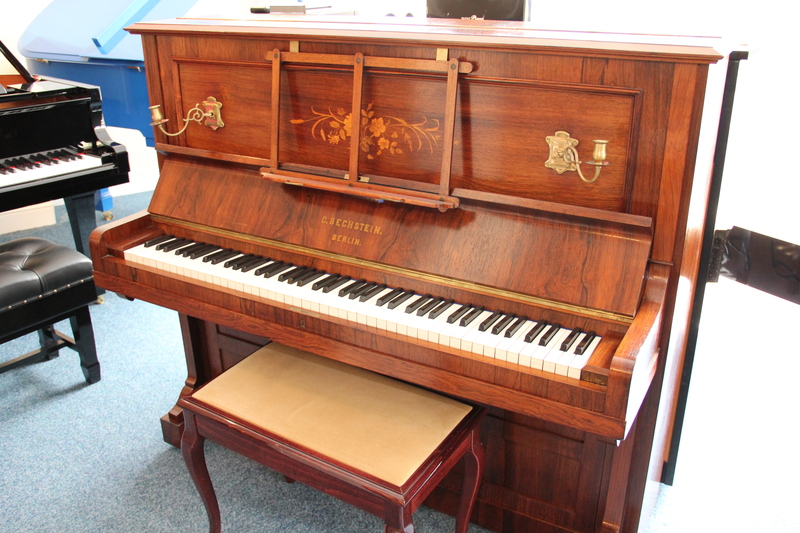 View, play and compare this wonderful instrument alongside 10 to 20 similar German pianos and over 100 other quality uprights and grands, on site. We promise absolutely no high pressure sales, just honest advice, a wide range of pianos to suit all budgets, and a cup of tea in a relaxed and pleasant environment. Is this piano still for sale? Hi Adam, Yes the piano is available. I have sent you a private message you with more details. How much would it cost to ship this piano to Chicago? Thank you for your enquiry. I will come back to you with an idea of shipping costs.